Given the economic upturn and renewed level of interest in the property market, this course aims to expose practitioners to the key areas of practice that arise when advising clients in all areas of commercial property transactions. Lecturers will draw on their own experiences of practising in this area with reference to legislative updates, practice directions and practical case studies to provide participants with the necessary knowledge to advance in this area. The practical emphasis of the course is reinforced by three practical workshop days, which will provide an opportunity to engage with topics through problem-based scenarios in a small group setting. Workshop 1: Saturday 11 May 2019: This workshop will involve small group work on case studies from the module on commercial leases. An interactive session will focus on reviewing leases and the negotiation process involved. Workshop 2: Saturday 25 May 2019: This series of workshops will focus on the practicalities of purchasing licensed premises, looking at the planning considerations of buying an existing business and converting it’s the commercial space into apartments, and examining the issues that may affect the sale/purchase of a mixed-use development (office, retail and residential). 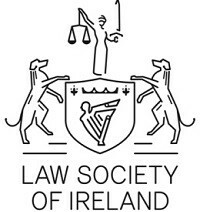 This diploma is only open to solicitors, trainee solicitors (who have passed the PPC I) and barristers. It is aimed at legal practitioners with experience in the area. The course will assume a level of pre-existing knowledge commensurate with that taught on the PPC I course. Lecturers will consist of experienced practitioners with in-depth knowledge of the impact of recent case law and legislative developments.